Sikorsky S70A Blackhawk is a medium utility transport helicopter, powered by two general electric T700-GE-701C Turboshaft Engines. it maximumly carrier 19 passenger or 2 Strtcher and 4 Seat in SAR operation. It is commonly used for tactical support, airlifting. Support Night vision NVG Effect (beta). Modified from OSD blackhawk by Jordan Moore, added reflective surface and more accurate movement on the tail stabilizer and all other visual features which should be seen on S-70. 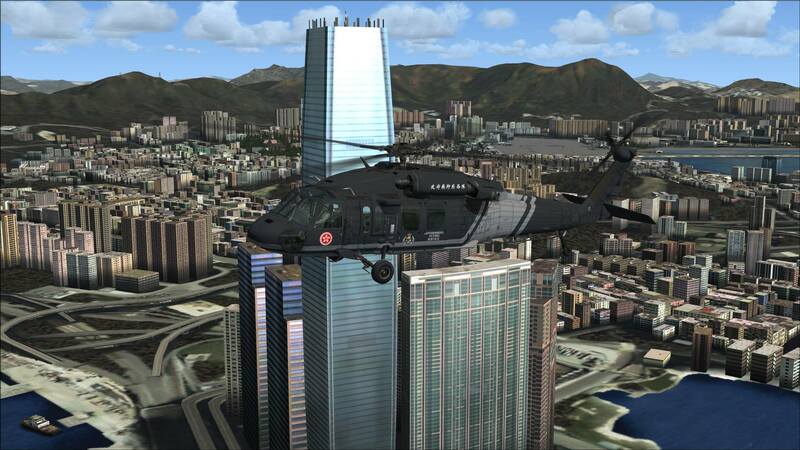 FSX Version is modified from FS9 Version.